What’s the idea: The greatest licence in the universe led to incredibly high expectations from players. It’s not so much a case of failure (SWG is still active and regularly updated) but of disappointment from fans of the saga. What went wrong: Impossibly high expectations coupled with poor balancing, bugs and changes to gameplay mechanics while ignoring what the players had to say about it. The infamous New Game Enhancements led to a massive uproar and subscription cancellations. The idea was to grab a new audience, but not only it didn’t happened, it angered the existing one. What’s the idea: Apparently, not even the developers were really sure. Richard “Lord British” Garriott (of Ultima fame) started with a fantasy MMORPG in the vein of World of Warcraft and many others, only to have it changed halfway through to science fiction. What went wrong: Midway revamps like the one Tabula Rasa suffered can’t do any good. 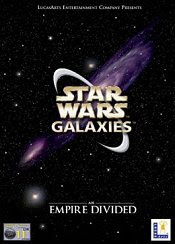 Conflicts between developers, some of them clueless about the game’s direction led to replacements and most of the game code being rewritten. In the works since 2001 and released in November 2007, Tabula Rasa actually gathered some positive reviews but failed to captivate players to its world. 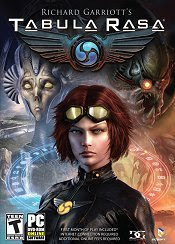 Developers cited the lower than expected in-game population as the reason to make Tabula Rasa free to play (as of December 23, 2008) before closing down the servers on February 28, 2009. Richard Garriott, also known for his spaceflight, is now suing Tabula Rasa’s publisher Ncsoft, claiming breach of contract, fraud and negligent misrepresentation on the part of NCsoft. It seems his “voluntary” departure wasn’t so, and he was actually fired in late 2008. This scheme also forced him to sell his stock options prematurely, losing millions of dollars in the process. What’s the idea: A MMO based on Neo, Trinity and friends, using the hype of the movies to its advantage. The potential was definitely there. 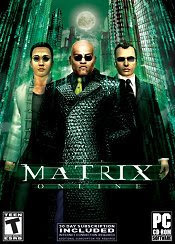 What went wrong: The several delays resulted in The Matrix Online being released when interest in the movies waned, and the initial sales figures were disappointing. The further addition of in-game advertising raised controversy, and the reduction of the game world due to sparse population wasn’t well received. Time has come to take the red pill. 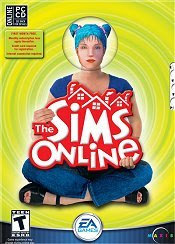 What’s the idea: The amazing success of The Sims led to uncountable expansion packs but also to a more bold idea: a massive multiplayer game with these lovable (if you’re a fan) characters. Now you could live a life pretty much like your own online! Sounds appealing? ... and yet it shut down on August 2008. Are the Sims doomed to their offline world?